Your HVAC system, in general, is an investment. The initial price can seem overwhelming, but these modern systems are designed to last for many years. AC companies address maintenance plans because the better care you give to your system, the longer it will be around, and the longer it will run efficiently. There is no negating fact that regular maintenance can improve the performance and service life of your Ac. Thus due to routine maintenance, this will ensure efficiency and effective service provision without consuming extra energy. Here are some of the tips you should consider in maintaining your air conditioner. A quality filter is essential for keeping dirt and grime out of your blower. Therefore, changing your filter is the most single straightforward way to keep your system running clean. However, it is often the most ignored, as home owners tend to forget. Filters are low-priced and are available at almost any hardware store. Changing your system’s filters should not take a lot of time and will significantly improve your indoor air quality. If you have any inquiries about what size filter you need, it is better to consult HVAC contractor since they may have that information in their system. It is generally recommended to change the filter every 1-3 months. This will allow your AC to work more efficiently and avoid poor performance issues. During extreme weather, debris and tree leaves can clog the coils of your unit causing massive havoc — the less that could potentially enter and inflammate the conditioner the better. Removing the cap and taking a look to the inside of the condenser is a great way to clear all the leaves, tree branches, gravel, and gunk that may be building up in your unit. Make sure you are checking your system frequently and clearing it of all debris. This task will ensure that there are no blockages of your air conditioner. Sometimes the smallest thing can cause your system to act up. That is why maintenance can be so critical. Dusting your air vents prevents random debris from entering your home’s duct-work. Dust build up inside your system can kick your blower off balance. When the fan in your order is off balance, it can cause unwanted noise and lower the efficiency of the entire system. The safest and most responsible way to perform AC maintenance on your unit is to power it off before you begin. By cutting off the power supply, you can ensure a deep clean and limit the risk of injury. By taking good care of your AC unit, you will get a longer life out of it and lower overall repairing costs. Just like anything else that requires regular maintenance, waiting until there are breakages will only up against the expense of fixing it. 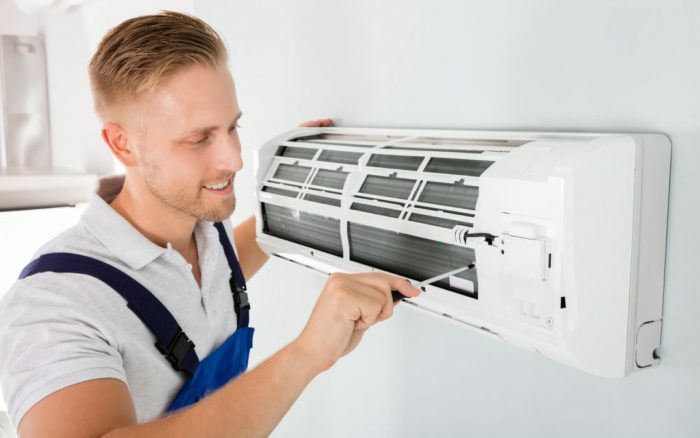 Therefore, these tips should keep your air conditioning unit in good shape, but sometimes the use of professional HVAC service is the safest and most effective way to solve your cooling system problems. One of the most reputable brands that would help you in maintaining your AC system is PBN. The brand has the right expertise and equipment to handle this task with a high level of precision.